You will need a good warehouse if you have a surplus of products, and if you want to store them until it is time to distribute them. Setting up inventory will take careful planning, because even the slightest of errors can cause a lot of financial damage. Furthermore, if you have a system for storing your items, it will help your employees to deal with picking them out and transporting. You need to make sure that everyone follows procedure, because people who are not supposed to be in the warehouse should stick to that rule. Only authorized personnel should enter, and only they should handle products. Otherwise, someone who is not familiar might cause material and substantial financial damage. Be clear with the rules of who may and should not enter the warehouse, to evade any unnecessary dangers. Every warehouse should have its own system, and the best way to transfer that knowledge to the newer generation, you need to make sure new employees get the required training. Show the ropes to the new guys, and do not let them handle anything just yet. They will have to get familiar with the floor plan of the warehouse, to make sure they understand the flow and how they should move inside. Without a good floor plan, your workers will be going up and down in chaos. Label the pathways so that it is easier to follow. In most cases, even if you have everything digitally stored as well, it is best to have a color-coded system that will help workers find exactly what they need to move inside the warehouse. Be sure to review the system every now and then, especially if you are handing a lot of products. It will be necessary, because your employees might need help in figuring out what goes where, and how. You will be wasting a lot of space if you are not using the shelving method to rack your items. Though, you will have to sit down and plan out how and where to fit it all, to avoid creating a mess inside the warehouse. On the other hand, you can gain valuable space if you manage to put together a good system to handle all the products at the top of the shelves. Remember not to stack too high, because it could collapse under the weight. Clutter will be any warehouses biggest enemy, as it will create numerous problems, and in the worst cases scenario it could cause serious injuries to the workers. Be sure to tidy up regularly, and to keep anything that is not supposed to be in the warehouse, outside. 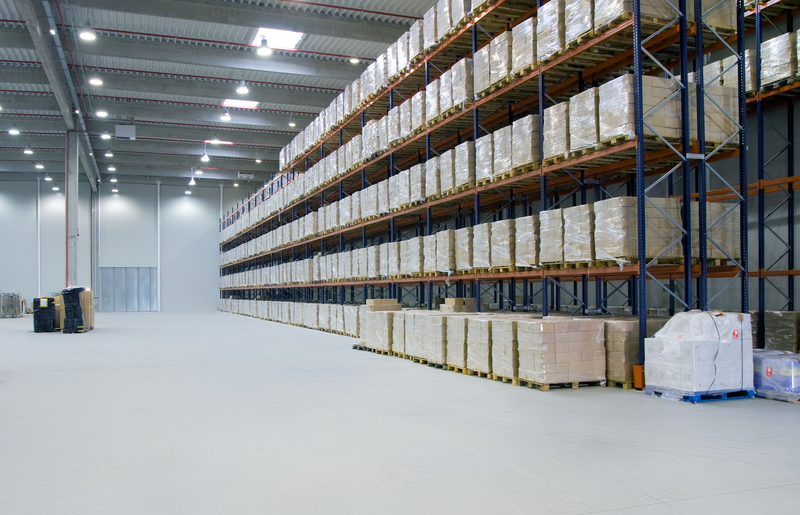 Be sure to frequently inspect your warehouse’s condition, because you can reveal potential dangers early on. Moreover, educate your workers about the hazards and serious implications of leaving things lying around. Once you create a well-oiled machine of workers in the warehouse, you can expect everything to go smoothly. Efficiency in the warehouse will be a factor you should not neglect, because if you cannot send your products on time, it will only have customers question your business’ efficiency. Moreover, the safety of your employees will be at stake as well, and unless you teach them how to be safe, there will be a lot of issues. Organize frequent inspections to make sure that everything is in order, and to find ways to improve your warehouse and to make it more efficient.